...spent a long time on a sewing project that I eventually gave up on. I don't know what made me think I could work with sheer fabric. 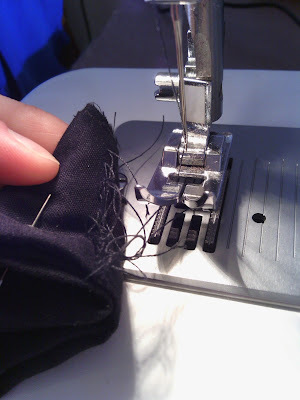 Also the sewing machine kept doing this (see photo above). 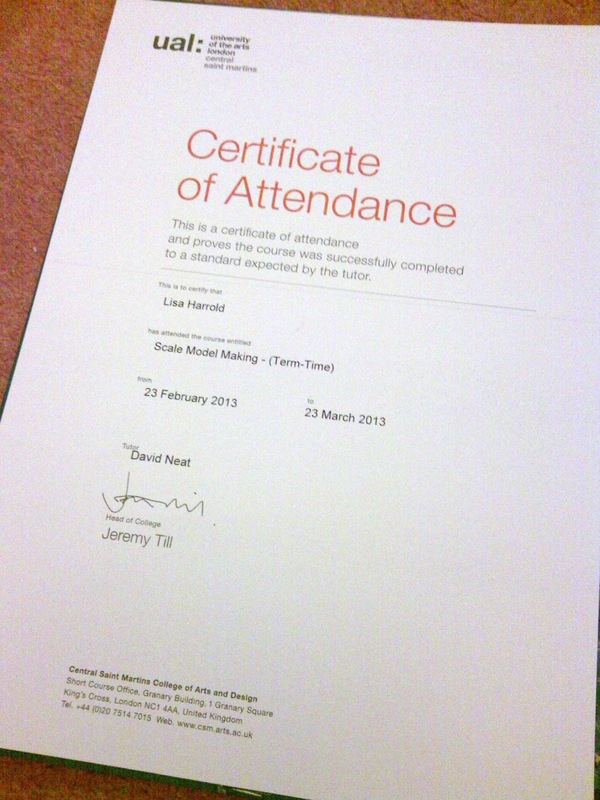 Saturday was the last day of my scale model making course at Central Saint Martins. 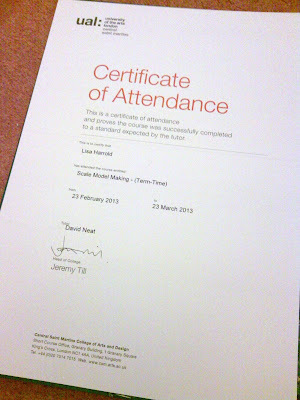 I've got the certificate to prove it. I'll show y'all soon all the cool stuff I made. 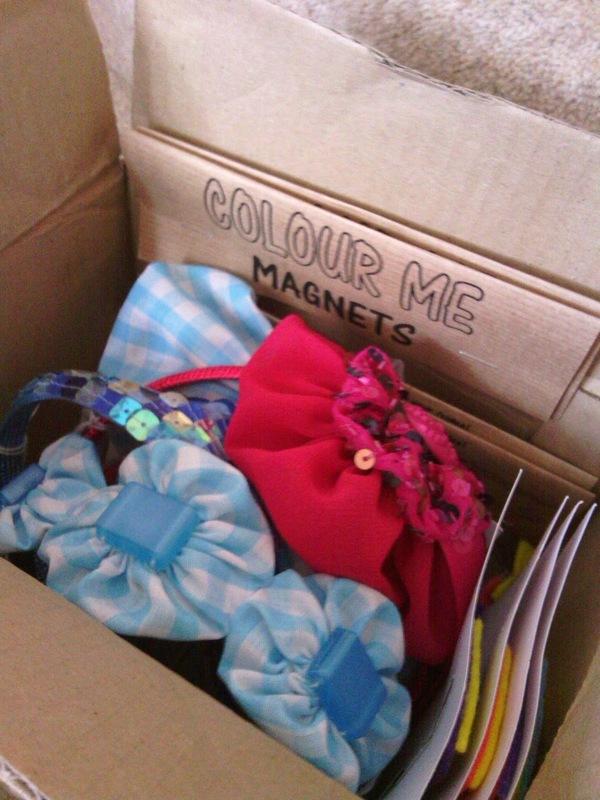 And on Sunday I took a box of craft-arty goodies to my local mill for their gift shop. I hope they sell well, especially those magnets!